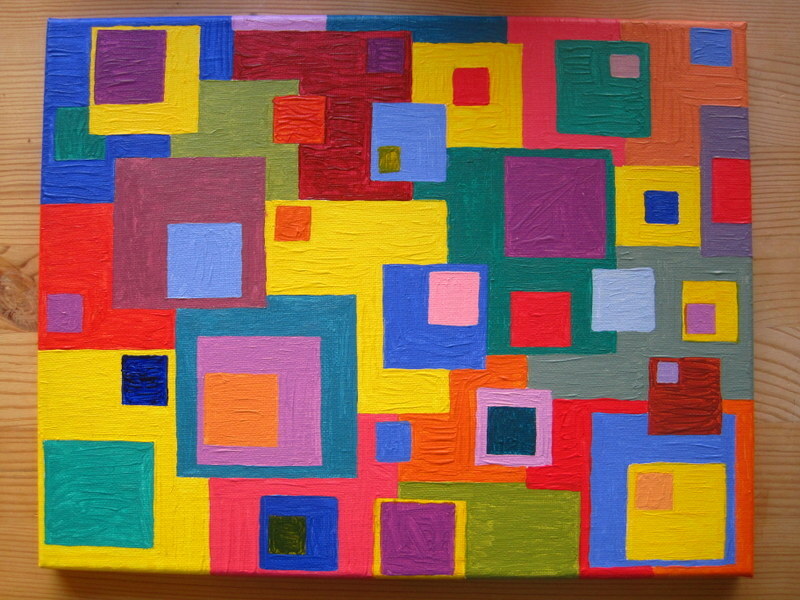 Today I am finally sharing a project I have been working on for months: my square painting! 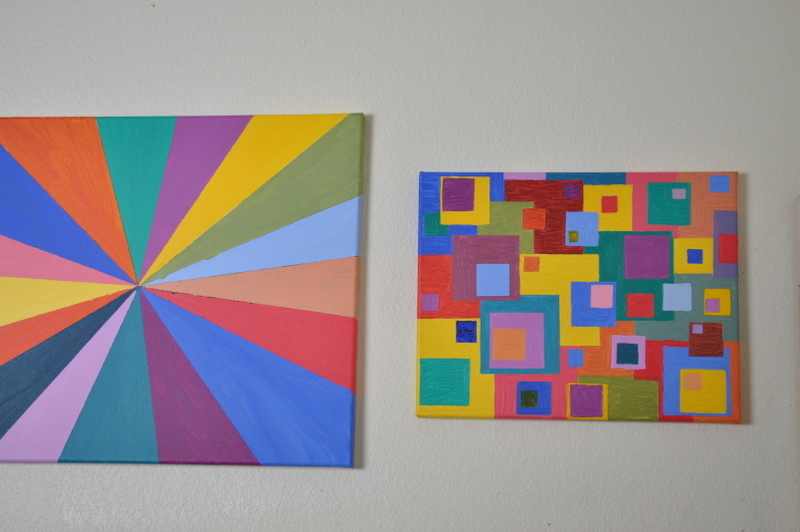 This all started with a pinwheel painting inspired by Elise’s, and then I made a circle painting. 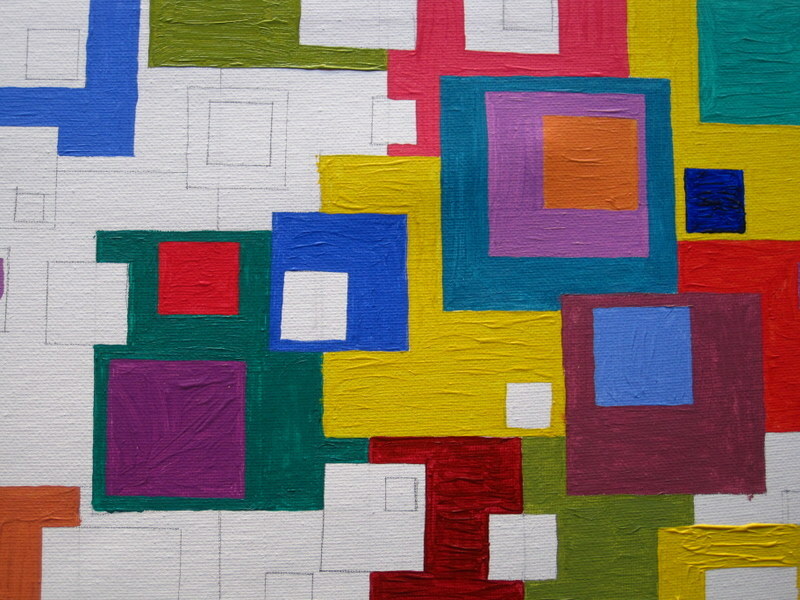 Still enamored of shapes and colors, I went with squares. 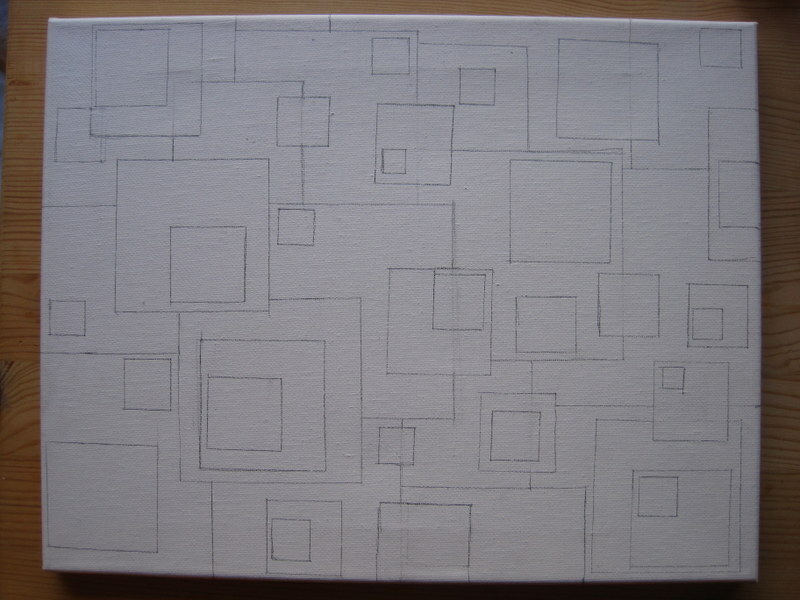 I drew these squares with a pencil and a ruler and then very imperfectly filled them in. I love that you can see brushstrokes and squiggly splotches of color. Once I had them all finished, I knew exactly where I wanted to hang them in our living room. I love the bright color they bring into the space. Many thanks to my photographer, who did a lot of standing on chairs and moving flashes to get these shots! I kind of love that I’ve unintentionally created the same color palette in all of them. I guess bright and cheery is what I go for! Eric also took these awesome close-up shots, which I just love. This is pretty magnificent. Fun with close-up lenses! to here, it was totally worth the wait. I just love these paintings. 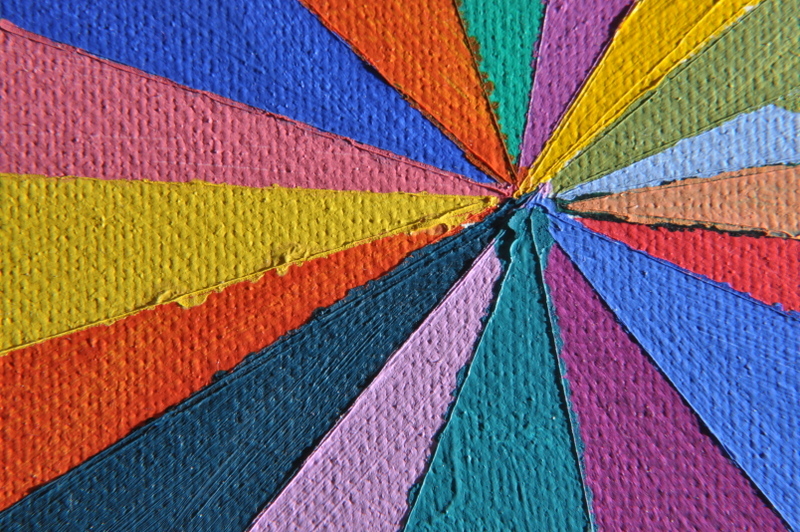 The colors are perfect and the way they are grouped together provides even more interest. 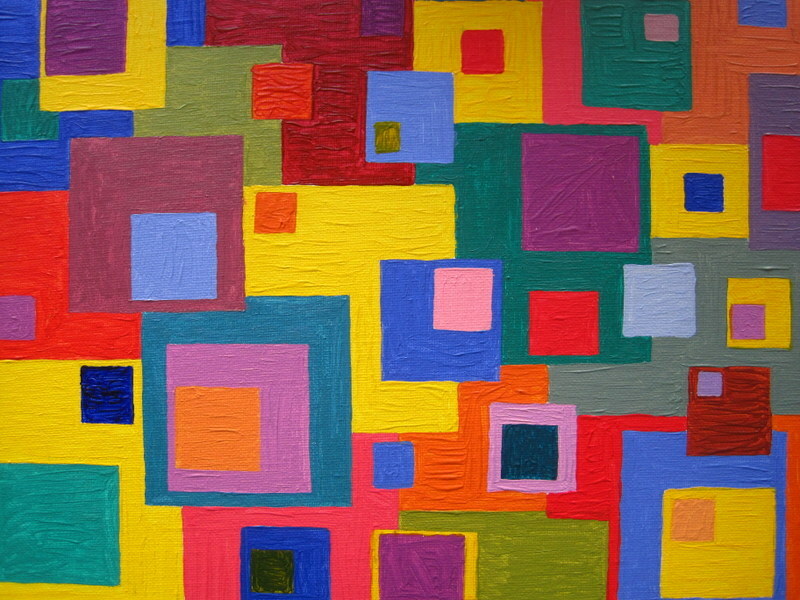 On the left, the circles look like a three dimensional stack coming at you and on the right, the squares are floating off the canvas. Thank you so much! That’s such a beautiful way of looking at them! Lovely colors and textures! 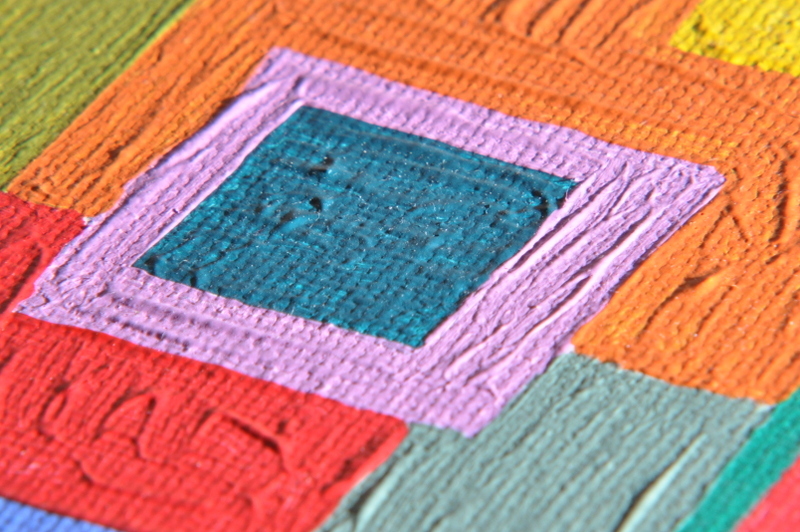 This reminds of… is it Kaffe Fassett? Textiles? Thank you! You are more knowledgeable in that arena than I am! Such beautiful bursts of color for your living room, and how extra special it is that you created these beauties yourself — much like the loving home you and Eric have created around you! Thank you so much! If there’s one thing I can’t live without (besides coffee! ), it’s color! I had the same thought! They’re like rainbow fields!